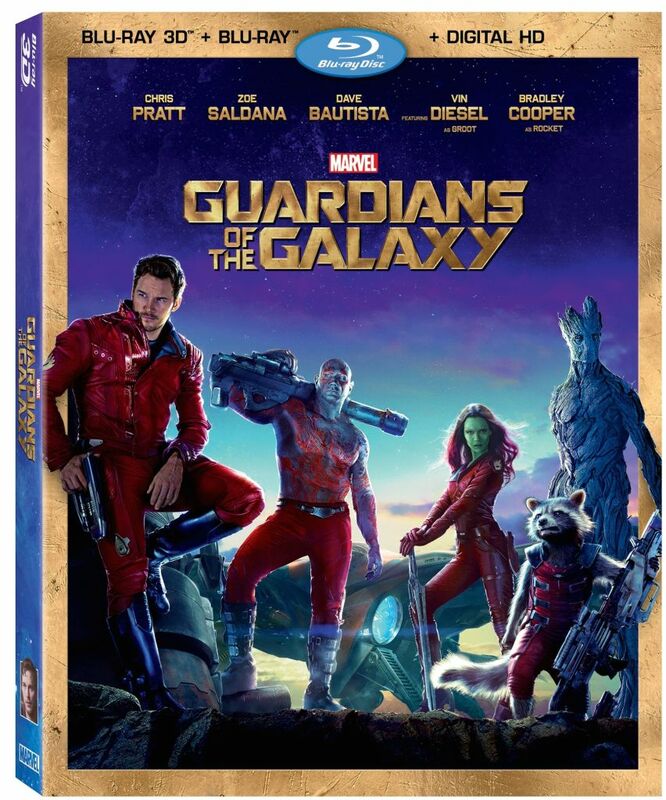 Guardians of the Galaxy: Blu-Ray and DVD home media video clips and trailer released! In case you still needed a specifically good reason why you should be getting Marvel’s awesome interstellar movie that is “Guardians of the Galaxy” on Blu-Ray and DVD… Well, here are a couple of reasons on how IT SHOULD BE ON YOUR CHRISTMAS WISH LIST. THE DANCE OFF… And a Gag Reel! Yes, Chris Pratt’s Star-Lord and Lee Pace’s Ronan did the dance in this unused sequence from the final act of the film, as well as more tomfoolery teased in this clip from the Gag Reel! Pretty much stuff that eagle-eyed viewers who want to know more about the film should see, especially in regards to the Music used in the movie, and character specific features on guys like Benicio del Toro as “The Collector“, and Rocket Raccoon as voiced by Bradley Cooper! Pretty much self-explanatory, and here’s a trailer from Marvel to give a glimpse on what you could be getting by taking The Guardians home. Guardians of the Galaxy hits Blu-Ray 3D, Blu-Ray, and DVD on December 9 in the US!